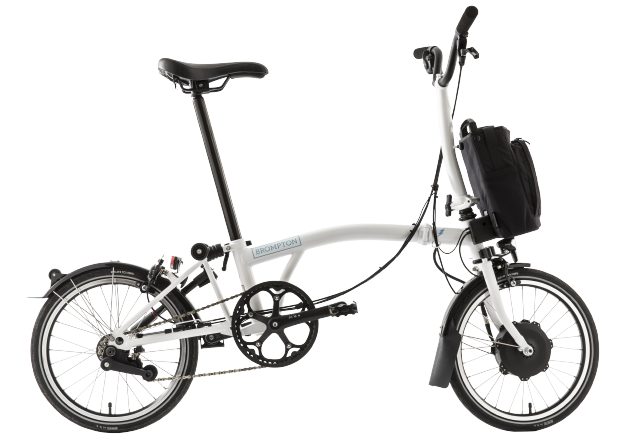 Which Brompton is right for me? The original folding bike. Small. Light. Durable. Smart E-Bike. Made for you. Superlight. Made for speed. Made with titanium. Take a look at the range of accessories we have online. Explore our collection of bags. Stay up-to-date about the latest upgrades for your bike and news. Top tips for cycling during winter. 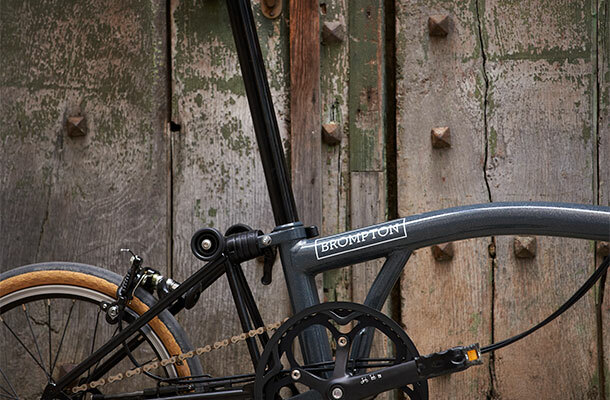 CHPT3 Edition bike design showcases David Millar’s unique style and offers features including tan-walled Kojak tyres, ergon grips and a custom designed brooks saddle. WHAT MAKES THE CHPT3 SO SPECIAL? 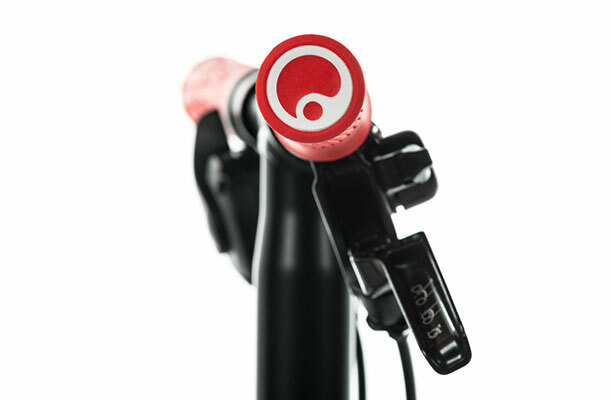 Red Ergon GA2 grips usually used in mountain biking, look spectacular with the Brompton CHPT3 Edition. The ergonomic shape fits the contours of the hand and significantly reduce arm pump on long trails. 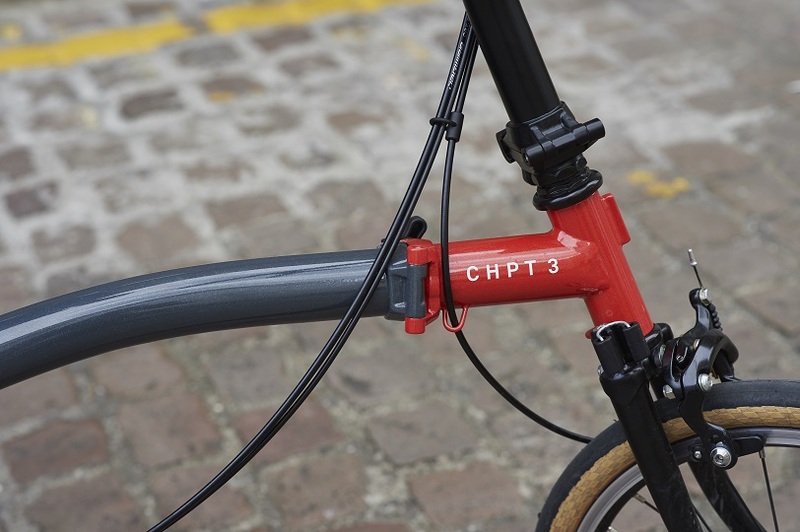 The frame of the bike sports the CHPT3 colors, fire red and grey exclusive to CHPT3 Edition bike. The front fork and rear frame of the bike are both titanium and painted black to match the sleek style of the bike. The titanium parts make the bike lighter and more durable. 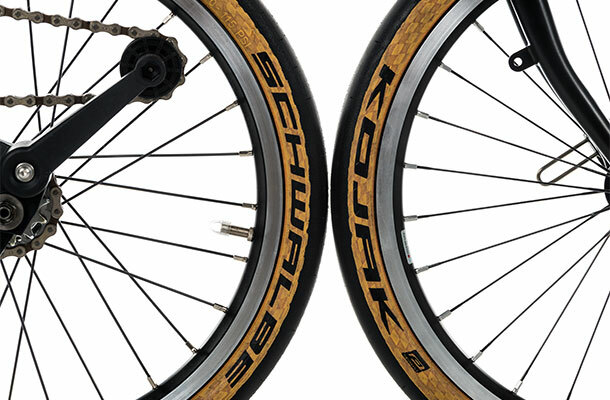 Although this fast, sporty, tread-less slick weighs just 224g (32-349) it still has a RaceGuard protection belt, a folding bead and that awesome Tan wall profile. 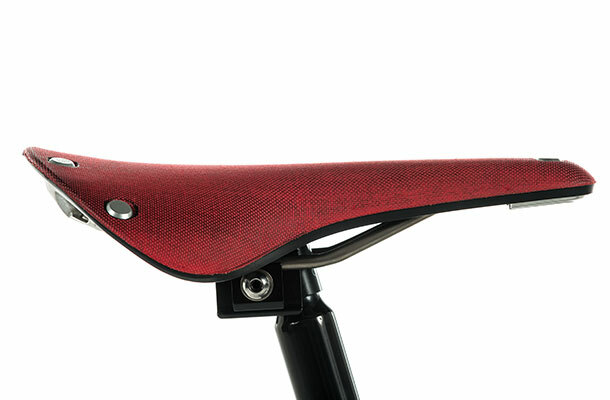 This is not your usual leather Brooks Saddle, this one is made from vulcanized rubber with a canvas surface and hollow steel rails. 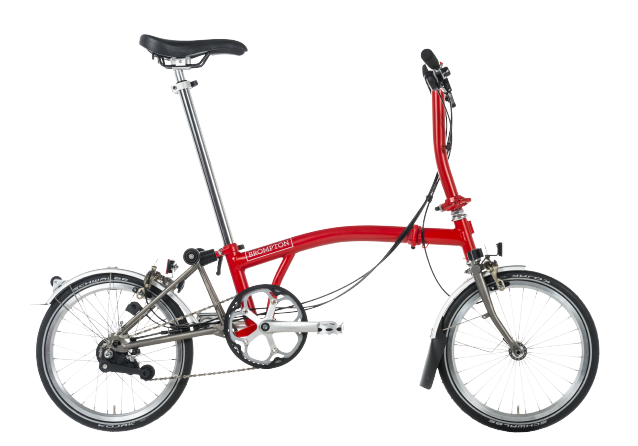 This is the only Brooks Red C17 in the world made especially for Brompton CHPT3 Edition. What makes CHPT3 Edition special? 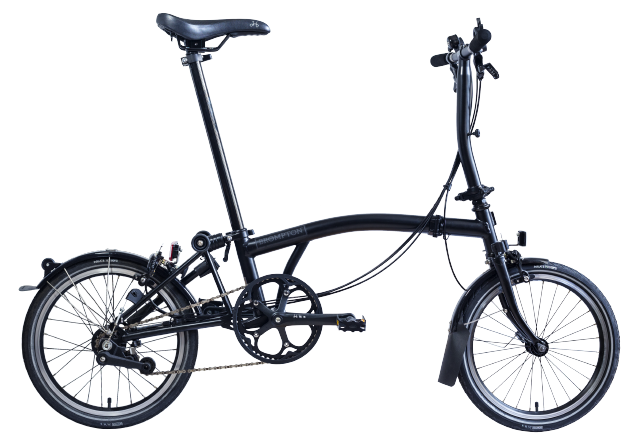 David Millar talks about the key features of the Brompton CHPT3 Edition and why certain parts were used. Key features of the CHPT3 Edition. Keep in touch with all things Brompton? Quickly add a new build to an existing account. Save your Brompton build to unlock a unique code, which will be used when you order your bike.